Sauna Room is designed by Aoi Yoshizawa together with Lapuan Kankurit for ceramist Rut Bryk. 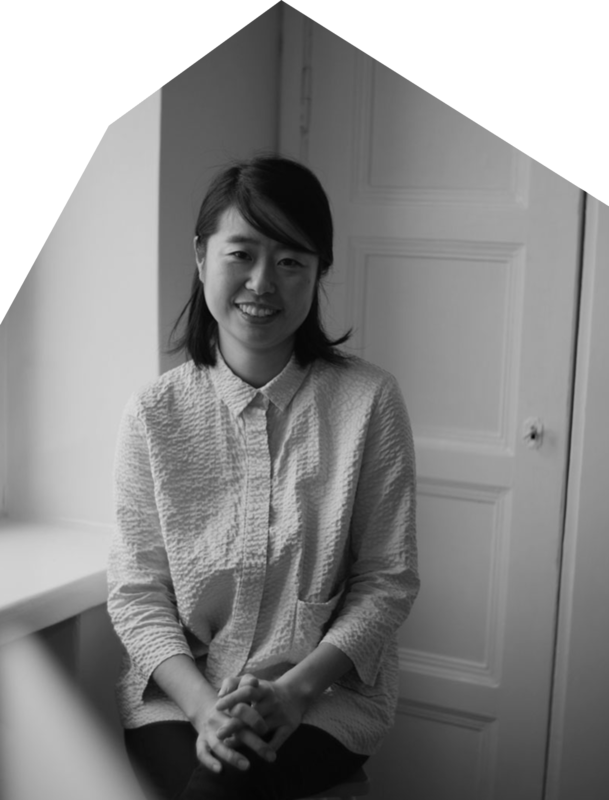 Aoi Yoshizawa is a Helsinki-based designer specialized in material, colour and surface design. Originally from Japan, she lived in Sweden and Norway and moved to Finland to complete her MA study. Educated as a textile designer at Aalto University, School of Arts, Design and Architecture, she has created diverse surface designs for interior and fashion. In her experimental design process, combinations of abstract expressions and carefully selected colours create the feeling and atmosphere which are associated with her own experiences and memories. Aoi appreciates craftsmanship and the technical process of making and is constantly seeking new ways of applying them to create modern designs. Our top designs are woven at Lapua, amid the Ostrobothnian fields. Our skillful jacquard weaving and finetuned material treatment skills are the result of generations of learning in our family business. Developing the best textiles in the world is our passion. Our own mill and the young, open-minded professionals who work there allow us to make our products a little better every day. We use natural raw materials: linen and wool. We know where our materials come from, and we know all the working stages from thread to product. This produces results we can be proud of. Products made by Lapuan Kankurit weave a tale of genuine values, sustainable consumption and respect for nature. ”When I visited the Rut Bryk exhibition at the Emma museum, I was fascinated by her ceramic mosaic works - abstract surfaces that consist of small geometric modules. "I am inspired by the combination of geometric shapes and colours that together create compelling patterns in her artwork. I also appreciate her sense of detail, which you can see in her use of subtle colours and the depth of the small tiles. I found that her aesthetics connected to Lapuan Kankurit and myself as a designer in terms of the appreciation of details in patterns and colours as well as craftsmanship.